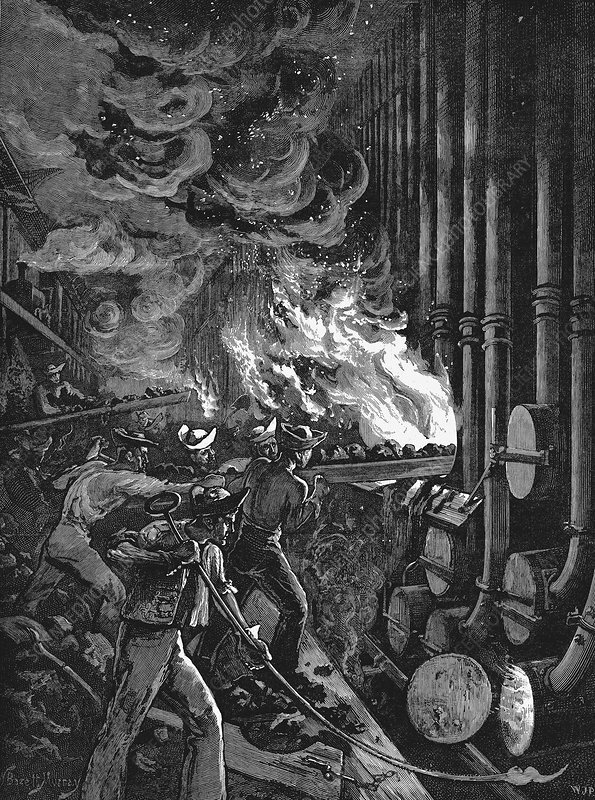 Charging the retorts at the Beckton gasworks, London, 1878. Beckton Gasworks was owned and operated by The Chartered Gaslight and Coke Company. When it opened in 1870 it was the largest gasworks in Europe. From The Illustrated London News, 2 November 1878.